This guide will help you when it comes time to research your seminar paper. This guide is general in scope so be sure and check out our other guides to see if there is one related to the topic you are researching. 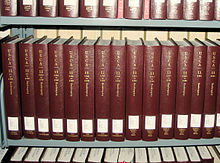 The USC is published every six years with cumulative bound supplements issued in between editions. Publication typically runs several years behind. 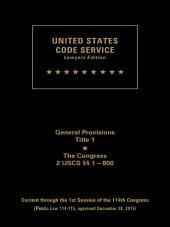 Publication of state codes will vary. The Law Library's state codes are located on the 4th floor with the other state materials at call numbers KFA through KFZ. Note that most of the print codes are no longer being updated. 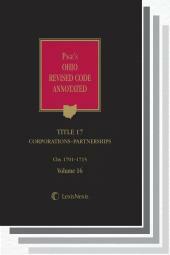 Ohio does not publish an official version of the Ohio Revised Code, instead unofficial versions of the code are published. Session laws usually have official and unofficial publications. With most states, you will also find their session laws published in the legislative service pamphlets published by West or the Advance Service published by Lexis. Many states will also publish their session laws on the state website. If you need to research a particular issue as treated by multiple state statutes there are several useful tools that may save you a lot of work. Just be aware that these may only address selected narrow topics and that they may not be current. Be sure to locate the date of the survey or latest revisions. Also check association websites that advocate or deal with specific statutory issues. Just be aware of potential association bias and the need to verify and update.There are also subject-specific book compilations. UC Law faculty, students & staff only. Appendix 2 is a Survey of State Arbitration Statutes. Appendix 3 contains State Mediation Privilege Statutes and Mediation Privilege Rules of Selected Federal District Courts. This guide details required procedures for practitioners of employment law and ADR. This treatise covers every essential facet of ADR in the employment arena. 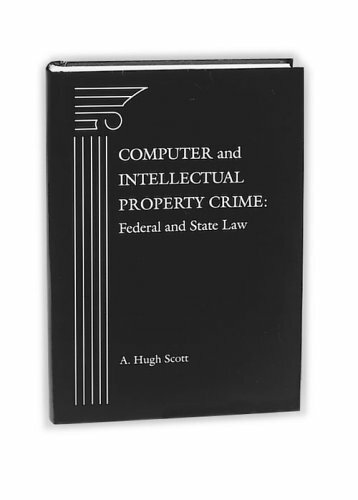 Computer and Intellectual Property Crime gives you detailed federal and 50-state coverage of cybercrime law by examining each statute to provide text and analysis of key statutory language, then examine elements of the crimes, classifications of offenses under each statute, penalties, remedies available to victims, sentencing guidelines for corporate defendants, seizure of data and files, triggers of other liability, federal enforcement tools, restitution, and case law developments. Must be a UC law student, faculty, or staff to access. This resource provides coverage of state statutory and case law on every aspect of non-compete agreements as an aid to understanding the limits of the enforceability of restrictive covenants, and as a tool for attorneys in the drafting and counseling process. UC Law students, faculty & staff only. Appendix 1 contains a summary of the statutory schemes and governmental guidance that govern or advise on this area of law. The rest of the treatise provides in-depth discussions of the liability facing companies, boards of directors and other employees responsible for cybersecurity. Chapter 4 surveys state disability discrimination laws. The entire treatise provides an overview of the disability discrimination landscape, covering both pre-ADAAA and post-ADAAA interpretations, and includes a helpful table of cases and an appendix with key documents and website addresses. 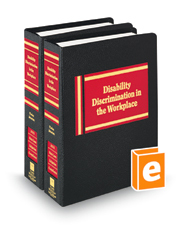 Chapter 19 covers state disability discrimination laws. This text examines the applicable statutory scheme, limitations period, impact of pursuing parallel proceedings, and the standard by which key substantive issues are reviewed on appeal. Presents federal discrimination laws topically and scrutinizes applicable disability discrimination laws in every state. UC Law students, faculty, and staff only. This treatise reviews the duty on a state-by-state basis, including analysis of prohibited and permitted conduct, litigation issues, defenses, damages, and the availability of injunctive relief. Employment at Will: A State-by-State Survey provides a comprehensive analysis of the employment at will doctrine, as well as the exceptions that various states have applied. Appendix 6 contains a summary of State Family and Medical Leave and Paid Sick Leave laws. The treatise covers the history of the FMLA, and then the responsibilities of employees and employers under the Act. The areas covered include provisions of the FMLA; regulations promulgated by the Department of Labor (DOL); how DOL opinion letters have interpreted FMLA provisions; case law developed under the FMLA during the first 10 years the Act has been in effect; and how FMLA rights are coordinated with other legal rights of employees. UC Law students, faculty & staff only. Chapter 20 covers a survey of state laws on gender identity and sexual orientation discrimination in the workplace. Additionally, this volume surveys federal laws applicable to lesbian, gay, bisexual, and transgender employees and discusses a wide range of HR best practices. First-person essays highlight voices and human stories at the nexus of this quickly changing area of law and society. Limited to UC Law students, faculty & staff. 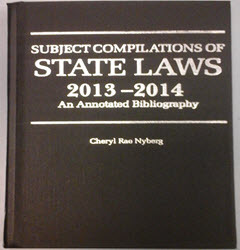 Appendix A contains citations to State and Territory Civil and Criminal Trade Secrets Laws. Appendix B contains State Laws Governing Protection of the Right of Publicity. The treatise in general offers in-depth coverage of such specialized topics as upstream licensing and Open Source Licenses, bankruptcy issues in licensing, tax concerns in licensing, misuse and antitrust questions in licensing, federal government procurements and licensing, and privacy and information licensing. Appendix G. surveys states with Right to Work laws. This treatise, authored by experts in the field, covers laws and regulations that affect unions, members, and other represented employees, and includes in-depth discussion of the Landrum-Griffin Act (LMRDA). The Policy Surveillance Program is a project to provide legal mapping as tools for improving the nation’s health. The tools allow researchers to understand what the laws are on a given topic, know how the laws differ over time and across jurisdictions, and provide data to evaluate the impact of those laws. The National Association of Secretaries of State have state law surveys on election law issues. Provides lists of relevant state laws addressing topics relating to workplace privacy, including drug testing, access to personnel files, lie detection, electronic monitoring, and more, in addition to offering text of selected foreign statutes and the European Union (EU) directive on privacy law. Offers guidance on employee/employer rights and the limits of employer authority in securing information about applicants and employees, disclosing such information, and controlling activities in the U.S. workplace. This text provides authoritative, in-depth analysis of each state’s statutory and common law protection of trade secrets and other confidential business information, both within and outside the employment context. UC Law students, faculty & staff only. Appendix E contains a summary of state laws concerning military leave and reemployment rights. USERRA governs military leave and discrimination/retaliation issues resulting from military service, and covers every employer in the United States. This treatise provides a comprehensive analysis of USERRA’s breadth, and discusses the myriad complicated issues involved with the Act's application and enforcement. UC Law students, faculty & staff only. This treatise covers wage and hour and mandatory leave laws in all 50 states, plus the District of Columbia and Puerto Rico. Topics covered include minimum wage and overtime; timing, place and manner of payment to employees; prohibitions on hours worked and mandatory leave; and much more. Appendices A & B survey state laws protecting public and private employees. This treatise provides in-depth discussion of whistleblower protections and related litigation under the Sarbanes-Oxley Act, The Dodd-Frank Wall Street Reform and Consumer Protection Act, and other applicable federal and state laws.